Babbal Rai has been a music lover & pursuer since his childhood where he has been a screen captivator at Doordarshan. Rai''''s "Australian Challa" made him a youtube sensation. His music career took a flight when his first album Sau Putt which brought him into the limelight in the Punjabi music industry. In 2012 he released his single track "Sohni". It is reported that Rai feels that his claim to fame is to sing what he feels from his heart. Rai also sang his first playback song for Jimmy Shergill''''s Punjabi film Rangeelay and this has been his only known playback track uptil now. His multi starrer project for 9X Tashan "Kudi Tu Pataka" was released the following year and was highly acclaimed by the audience. 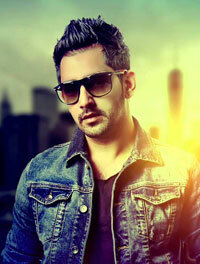 In 2014 Babbal released his second album Girlfriend under the label Speed Records in which the tracks like "Yaarian", "Tere layi", "Tuttian", "Jattan da Munda" were a huge success. The song Akh Teri was the most acclaimed track in the album. He released videos of four songs- Akh Teri, Jattan da munda, Yaarian and Tere layi- from his album "Girlfriend" which were huge hits.